Rate this Article Here are the things that you must do in order to take care of your foal in Howrse. Horse games are entertaining partly because of the fact that it is a very educational experience. After all, everyone must’ve dreamed of owning a horse or two and bringing them up. However, in real life, horses are very expensive to acquire and their upkeep equally exorbitant. With the advent of the digital age and the Internet, people now have a chance to learn how to take care of a horse through virtual horse simulators. One of the best games to sample, for a beginner, is Howrse. The game is a browser-based simulator that eschews three-dimensional graphics in favor of static images and click-based actions. While others may find this game a bit bland (for the lack of amazing graphics), Howrse is actually more educational in its approach to horse-rearing. This is because the procedures that are necessary in bringing up a horse is more easily understood and followed in this seemingly under-appreciated horse simulator. Now, everyone has to start somewhere in any endeavor. In this case, taking care of a horse begins from after the horse is birthed by a mare. This little horse is called, in equestrian and scientific circles, as a foal. This is the trickiest part of horse-rearing and horse breeding; foals are very delicate creatures, and would need to be taken very well taken care of. So, how does one take care of a foal in Howrse? 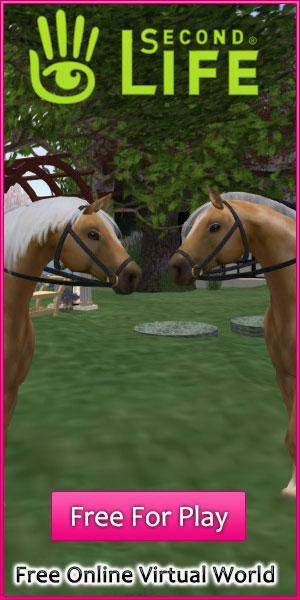 Because it is a game, the website takes good care to gradually introduce horse-rearing to beginners. Like RPGs, Howrse includes an in-depth tutorial in the first few “months” of the foal’s life. The tutorial takes on the form of quests, which you must accomplish in order to get rewards that can be crucial to the gameplay later on. Taking care of your foal is simpler at the beginning. All you have to do is to Nurse the foal, making sure that the animal drinks Milk to provide nourishment as it grows. When the foal has been aged using Aging points, it grows older and becomes more energetic. You’ll have to maintain its energy levels by bonding with it; specifically, you will need to stroke and groom the animal to maintain its energy and morale. By six months old, this is where the fun starts for you as a horse breeder. Foals can now be boarded at an Equestrian Center at this age. However, it is still your job to take care of it although you get to earn salaries in Equus, the game’s currency, when doing so. Stroking and grooming an animal is still part of your repertoire of tasks, but additional requirements now set in. You’ll have to train the foal diligently so that it can be entered into races or eventing. Training the foal will improve its statistics, but training will also consume energy. Feeding the horse wheat, carrots and turnips will help it recover its energy. However, you’ll have to manage its weight and energy levels accordingly. Wheat, for instance, will cause the horse to gain weight and reduce its stamina: you’ll have to exercise the horse to shed the excess weight. Taking care of a foal in Howrse is challenging, but not impossible. If done correctly, you’ll be rewarded with a strong and capable horse that can also be used to breed other horses, all of which will go to your own stable or collection of equine.